Standard Set-up for Attacking Corner Kick: Can build in many variations off this standard set-up. 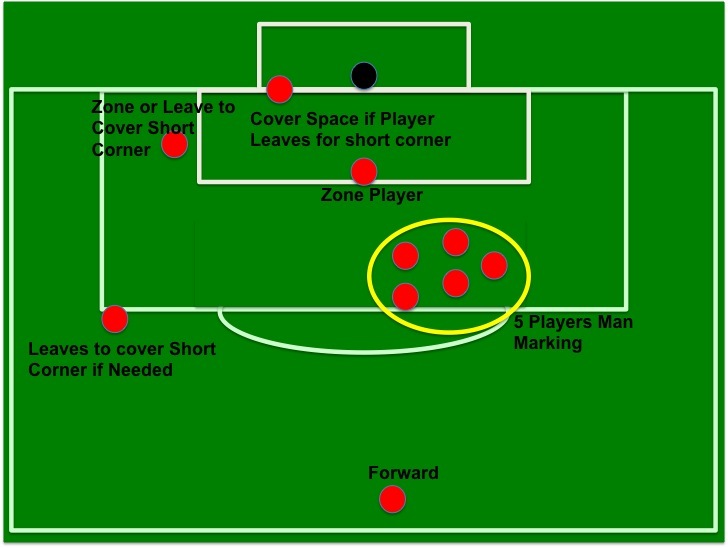 Standard Set-up for Defensive Corner Kick: 5 players are man marking & 4 are zonal with 1 striker staying high. These are the basic sets that my team will learn first. We do add variations as needed. 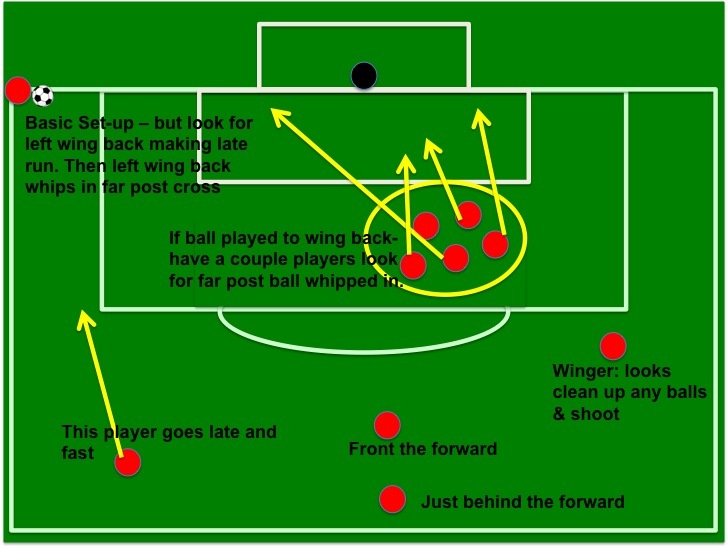 I find teaching these two standard set’s helps all players have an easy understanding of basic corner responsibilities – especially when substitutes are brought into the game – we are all on the same page. From these basic sets we can add a variation on a weekly basis so teams that scout us will not know whats coming when we add the variation.